If you’ve ever been to your dentist in Mill Creek and experienced several gentle pokes to your gums followed by hearing some numbers, you’ve had what’s called a periodontal charting. This charting is helpful when evaluating overall oral health and can give your dental team some insight to a proper treatment plan. What we do at our dental office in Mill Creek during periodontal charting is measure gum tissue around each tooth. There are six sides per tooth to measure, that’s why you’ll hear so many numbers being called out. During the measuring process, you’ll hear us say numbers ranging from 1 to 7, and sometimes more. These numbers reflect how deep your gum pockets are in millimeters. Anything between 1 and 3 is a good indicator that your gums are healthy. However, if you bleed during the process, your gums may be in beginning stages of a more severe problem, even if your measurements are between the target of 1 and 3. Higher measurements than 3 could be a sign of a serious concern. Explore the guidelines below to see what’s commonly interpreted from each depth. 3 mm – 5mm with no bleeding: Gum pockets of this depth could indicate a likelihood of gum disease. 3 mm – 5 mm with bleeding: It’s very likely that gums with these measurements have early gum disease. 5 mm – 7 mm with bleeding: Besides almost certain gum disease, bone loss and tissue damage are also possible. 7 mm+ with bleeding: Pockets deeper than 7 mm means advanced gum disease is certain. Surgical intervention may be appropriate to resolve the disease. If your measurement are any of the above, it may be recommended that you have professional cleanings at least every 3-4 months in order to improve both your gum health and overall oral health. If they’re deeper than 7 mm, surgery may be required. Gum disease is a serious problem that can lead to tooth loss and has been linked to several whole-body concerns including heart disease and stroke. 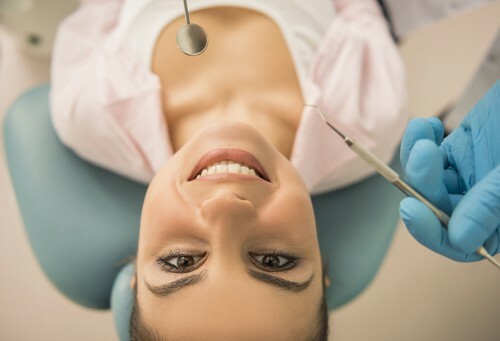 Besides having periodontal charting complete, you should look for other signs of gum disease like bleeding gums, chronic bad breath, or receding or tender gums. If you notice any signs of gum disease, call our Mill Creek dental office to schedule an appointment. We’ll evaluate your overall oral health and determine the most appropriate treatment plan to get your smile in its best shape ever.